ALBANY – Anne M. Burrows, 79, of Albany, died Saturday, July 6, 2013 in Atlanta, GA after a long illness. She was born in Hoosick Falls, the daughter of the late Joseph and Julia Maleady Torpey. She lived in Albany most of her life. She was a graduate of Troy High School, and later was employed by New York Telephone Co. She also was a communicant of the former St. Margaret Mary’s Church for over 50 years. Mrs. Burrows was predeceased by her husband John T. Burrows, and her son John P. Burrows. She is survived by her children Daniel, Michael, Nilka and Charlie; her grandchildren John Michael and Kiara; her sister in law Diana Torpey; and by several nieces and nephews and several dear friends. She was predeceased by her siblings Lawrence, James, John, Margaret and Edward. Funeral services will be held in the Hans Funeral Home, 1088 Western Ave., Albany, Monday morning at 8:15, and from there to All Saints Catholic Church, Homestead St., Albany at 9:00. Relatives and friends are invited, and may call at the funeral home Sunday from 3-6 p.m. Interment will be in Our Lady of Angels Cemetery, Colonie. In lieu of flowers, donations can be made to the Alzheimer’s Association Northeastern New York, 4 Pine West Plaza, Suite 405, Albany, NY 12205; or the American Heart Association, 440 New Karner Rd., Albany, NY 12205. To leave a message of condolence for the family, send a sympathy card, or obtain directions to the funeral home, please visit www.HansFuneralHome.com. Click here to view Mrs. Burrows’ resting place in Our Lady of Angels Cemetery, Colonie, New York (zip code Albany, NY 12205). We are so saddened by the loss of my brother-in-law’s mother, Anne Burrows. 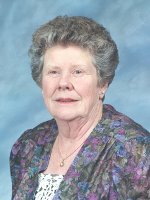 Anne was the matriarch of the Burrows family, and person of great integrity. We know how much she loved her son’s and grandchildren. Her family meant everything to her. We will always remember her humor, and celebrate her delicious authentic Italian spaghetti sauce that she shared the recipe with us once a long time ago. God Bless all of the family and Friends who share in the grief of losing this lovely and beautiful lady. Danny and Michael – Lots of good memories of your Mom from our childhood days and later, seeing her at church every week. She was a great lady. Sorry for your loss and hope you are otherwise both doing well. Our condolences to you and your family. I’ll always remember our talks between the fences. Anne was a great neighbor. “Annie” was a participant in our Cardiac Rehab. for many years. She and I developed a lovely friendship and I have missed her over the past few years. She was a wonderful lady and I have to tell you she loved her boys. I’m sure it will be a major loss for all of you. My condolensces. We’re very sorry for your loss. My deepest condolences to you and your family. week with loads of laughter. Will always remember her fondly. To the family of Anne..just want to send my condolences to the family. Your mom was a wonderful woman and my mom (Alice Torpey) loved her. I just read about this in the Troy high page. Please accept my heartfelt sympathy..